If you've had trouble tracking down the Wolf Link/Midna and Mipha amiibo, we have some good news. 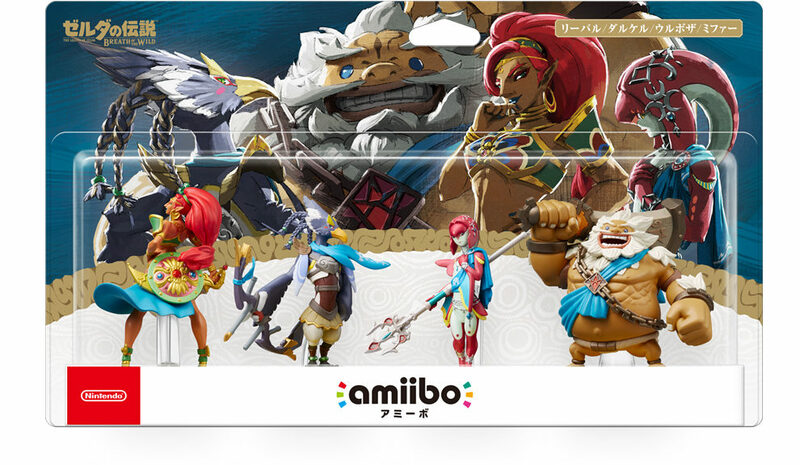 Recent CPSIA certificates from Nintendo show that both amiibo should be getting a restock on store shelves soon. Hopefully Nintendo will confirm this information soon, and we can give you a concrete release date for when these will return to stores. I don't care who you are, you should find this video absolutely fantastic. It gives such a unique and interesting look at the music of video games, and how Nintendo expertly used tunes in The Legend of Zelda: Breath of the Wild to pace the experience. This is all so fascinating to me! 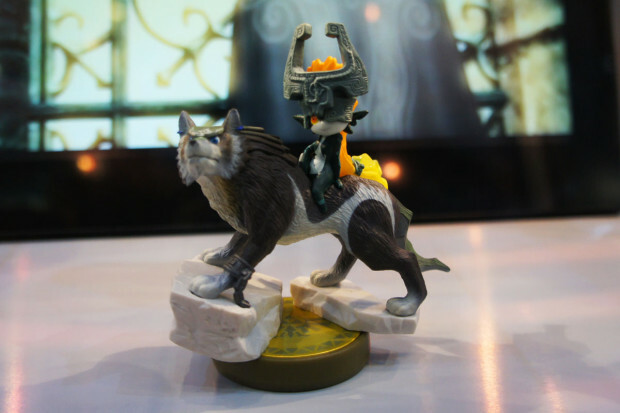 The Legend of Zelda: Breath of the Wild Champions amiibo are pretty hard to find nowadays. They pop up here and there, but there hasn't been an official restock just yet. That might be changing soon, though. A Taiwanese retailer has informed their customers that the Champions amiibo will be restocked on April 10th, 2019. We'll try to get some confirmation on a restock from Nintendo. This could be one of the coolest Legend of Zelda: Breath of the Wild items I've seen yet. This Sheikah Slate Pedestal Wireless Charger, priced at 6,990 yen is used to charge up your mobile phone. The Sheikah Slate case for the phone is a separate product, but certainly makes things look that much more dramatic! You think all the major glitches in Zelda: Breath of the Wild have already been discovered? Think again, my friends! A new glitch is making the rounds, and it's been dubbed the 'Apparatus Storage Glitch.' This glitch can lead to an insane amount of effects in the game. You'll be able to nullify temperature effects, max out hearts/stamina, ignore weather issues, skip portions of the game, and much more. Check out the footage above to see the glitch in action! The Legend of Zelda: Breath of the Wild is one of the most amazing games Nintendo has ever made. Hell, it's one of the most amazing games in general! That said, the game certainly isn't perfect. There are quite a number of glitches and exploits in the game, and some fans would argue that those issues make the experience even more fun. In the video series above, we get to see a detailed breakdown of the various bugs in Zelda: Breath of the Wild. Some of these glitches look so interesting that they'll probably make you fire up the game and try things out for yourself! The only way to defeat Calamity Ganon is to take back control of the Divine Beasts! Freeing the Champions and taking out Ganon's corruption Blights. With the true power of the Hero and the help of the Shiekah and their wondrous technology; Vah Ruta, Vah Rudania, Vah Medoh and Vah Naboris are here to help in the final battle. 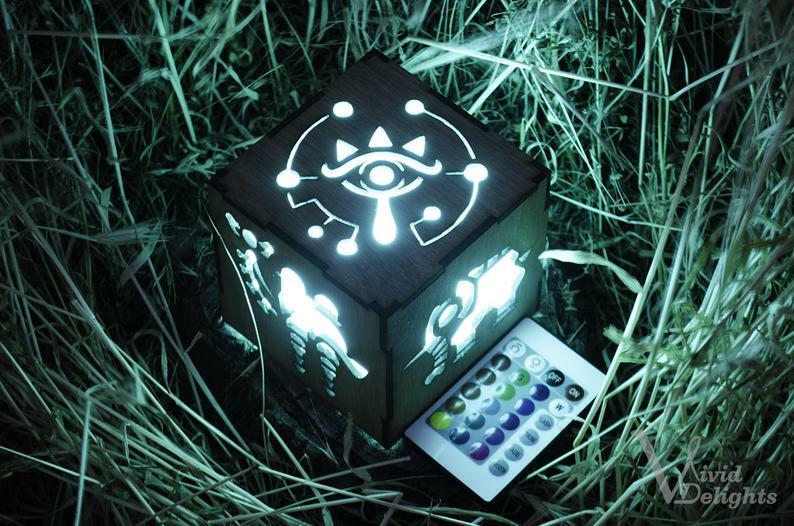 These fan-made lanterns are absolutely gorgeous, and would be right at home on the desk or end table of any Legend of Zelda fan. You can grab one for yourself right here!